CAMANO ISLAND, Wash. -- A 33-year-old man suspected of killing and decapitating his girlfriend in Washington state has been charged with murder after investigators say they found a samurai sword with DNA evidence. Island County authorities announced the charges on Friday against Jacob Gonzales, who remains at large and is believed to have traveled to California. Police in early March found the body of 26-year-old Katherine Cunningham on an undeveloped parcel of land near a gun- and ammo-filled bunker on Camano Island, north of Seattle. Authorities said a car belonging to Cunningham was found in northern California, also in early March. Island County Prosecutor Gregory Banks said the samurai sword was found in the vehicle and sent for testing at a lab. "Those lab results indicate that Ms. Cunningham's blood was on the blade of the sword, and Mr. Gonzales' DNA was on the hilt," he said. Authorities have been seeking Gonzales since March on a warrant. He was previously charged with five counts of unlawful possession of a firearm and one count of motor vehicle theft, and had been called a person of interest in Cunningham's death. The new charge accuses Gonzales of domestic violence murder while armed with a deadly weapon, reports CBS affiliate KIRO. 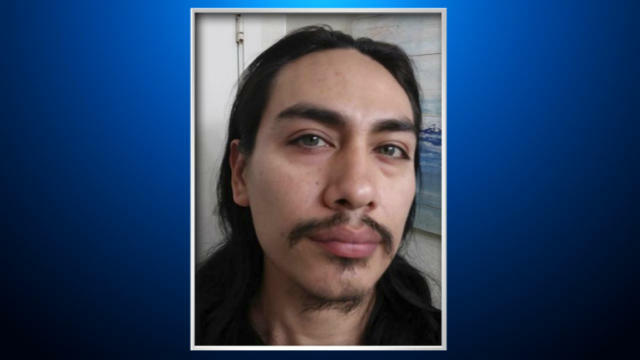 The Island County Sheriff's Office said Gonzales is likely in the Merced County area of California. According to court documents, Cunningham likely died in mid-February. Authorities say she might have been staying in a trailer on the property. Her body was found by a couple looking to buy the property. Court documents say Gonzales stole Cunningham's Honda Civic and fled, with the car later found abandoned in Yreka, California. Police said a $1 million nationwide warrant is in effect for Gonzales, reports KIRO. Anyone with information on his whereabouts should contact Detective Ed Wallace at 360-679-9567 or tips@co.island.wa.us.